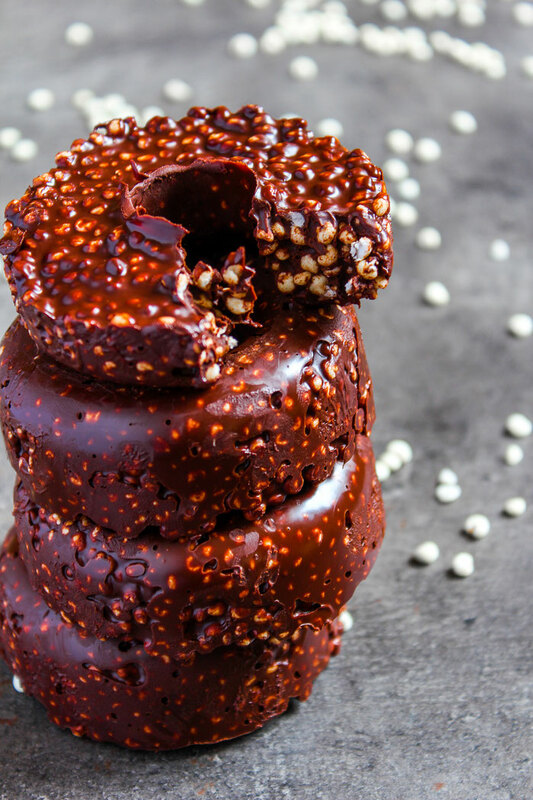 Chocolate Donuts with 3 ingredients - simply & healthy vegan recipes that taste amazing! 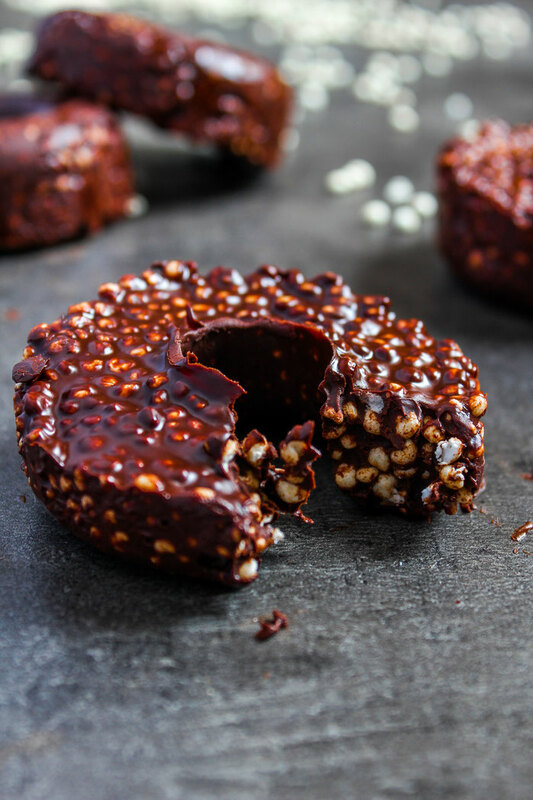 If you are a chocoholic like me, this is the perfect snack to level up your chocolate a little! 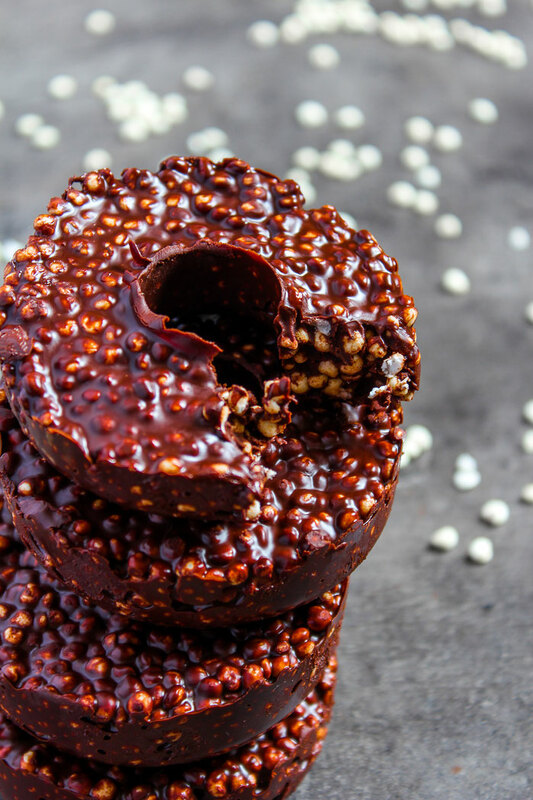 You only need chocolate, popped quinoa or millet pops and any kind of nut butter!! That is it! 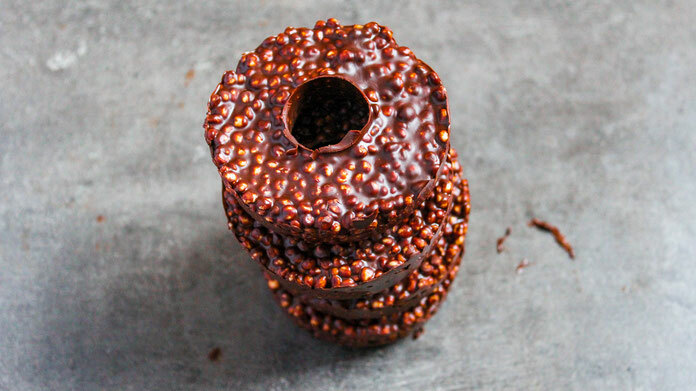 So simple and really the next level of chocolate heaven! This recipe is inspired by NadiasHealthyKitchen. Check out her wonderful recipe here! Here you can listen to my podcast when I created thise recipe! Makes 4 big donuts or 8 small! When the chocolate is melted, stir in the nut butter and the popped millet or quinoa. Add the mixture in donut molds and freeze for 15-30 minutes! 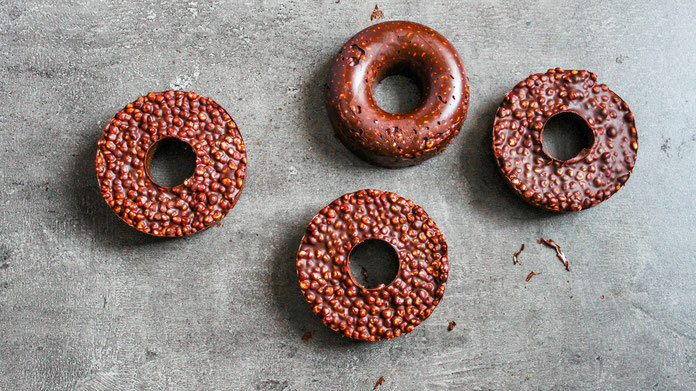 Take the chocolate donuts out of the molds. Enjoy! Storage in the freezer or the fridge. If you enjoy my recipe or have any question, let me know in the comments below! This combination of ingredients is just heavenly in any shape, no?! 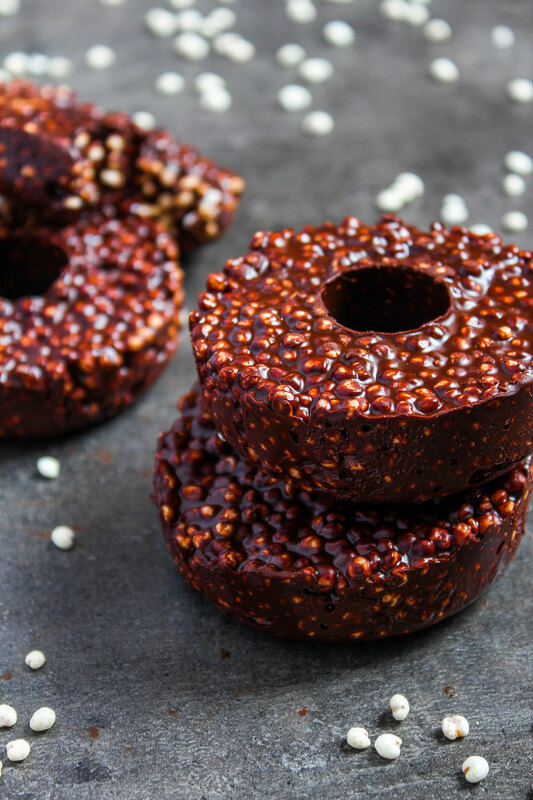 I'm not sure if you saw it but there's an eerily similar recipe on Nadia's healthy kitchen (https://nadiashealthykitchen.com/3-ingredient-chocolate-crunch-doughnuts-vegan-gluten-free/) from not too long ago, either. Thank you for checking out my recipe!